Solar Hot Water – Morrison Inc. Solar Hot Water System uses heat from the sun to provide a clean, renewable energy source that will supply comfortable, reliable, hot water… without the financial or environmental costs of traditional water heating. In addition, there is a 30% Federal Income Tax Credit in 2019. Solar Hot Water Systems provide all your hot water needs regardless of the season. Even on a cloudy day, you can get solar energy from the sun to heat your water. 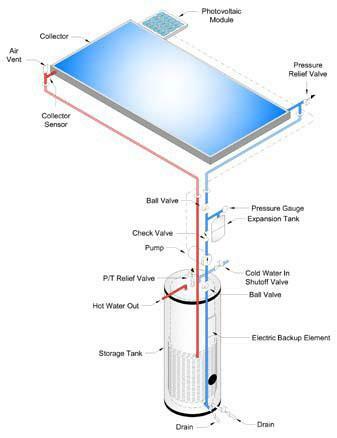 A Solar Hot Water System provides energy independence. Though energy costs continue to rise at increasingly rapid rates, you will be protected. Your Solar Hot Water System will immediately reduce your current energy expenses, in some cases, up to 38%. Contact us for more information on Solar Hot Water Systems.